Food allergies are a big topic. Gluten, the protein found in wheat, rye, barley, and spelt, is especially under fire, because as many as 30 percent of Americans have a sensitivity to gluten (which is different than a true allergy: celiac disease, an autoimmune condition). Whenever gluten sensitive folks ingest gluten, the immune system is provoked and attacks the gluten proteins. This triggers a release of cytokines, contributing to inflammation in the gut that sets off a cascade of effects in the body, from stress hormone fluctuations to blood sugar swings, fatigue, bloating, heartburn, increased hunger, joint pain, and weight gain. When celiac folks ingest gluten, they experience a severe reaction, a result of the immune system attacking their digestive tract. Celiac only affects around 1 percent of the population. We are now learning that gluten even triggers an inflammatory response in non sensitive individuals and contributes to increased intestinal permeability. Dairy is another huge culprit: as we age, our production of lactase enzymes decreases, making dairy more difficult to digest and contributing to bloating, gas, and loose stool. Many people have true casein allergies, causing nagging, ongoing GI symptoms, diarrhea, weight gain or loss, acne, and gas/bloating. Those who have gluten sensitivities are more prone to dairy intolerance because gluten destroys the brush border enzymes needed to digest dairy. As you can tell, not all of these may be obvious enough to trace back to a food you ate, and that’s what makes figuring out food sensitivities tricky. If you continually eat foods that you’re sensitive to, the resulting inflammation contributes to leaky gut, malabsorption, nutrient deficiencies, and an imbalance in your gut flora. No bueno. What that means for you is you be experiencing symptoms on a day to day basis you’ve dismissed as normal for you. One of the main focal points of my practice is to help people uncover hidden food allergies that are contributing to their health problems and preventing them from reaching their wellness goals. Over 90 percent of my clients see an immediate improvement from eliminating the most common allergenic foods: gluten, dairy, and soy (and usually corn). Enter the elimination diet! What is an elimination diet? Well, you simply eliminate suspected problematic foods for a period of time, then reintroduce the food(s) one by one to see if they provoke a reaction. Simple! And much less expensive than food allergy testing. I don’t recommend food allergy testing typically, as it’s expensive and often not accurate. An elimination diet takes some work, but it’s worth it to see how the foods you eat on a regular basis affect you. You don’t notice the nagging symptoms allergenic foods can cause day in and day out until you avoid them for a time and then reintroduce them. You may be surprised how great you feel! Then when you begin to reintroduce foods, you’ll see how each individual food affects you. If you’re still eating gluten, dairy, or processed soy products (check your labels; soy is in everything), I recommend eliminating those 3 foods for 30 days, for starters. Pretty much a guarantee you’ll feel better. If you’ve already eliminated gluten, dairy, and soy, and your symptoms haven’t resolved, you can take it a step farther and eliminate grains and eggs to see if that helps. Follow a paleo plan (or if you’re super motivated, an autoimmune paleo plan) for 30 days. Step one: pick a 30-day span where you won’t be tempted to cheat. It’s important to stay clean to get the best results. Then, take the plunge and kick the gluten, dairy, and soy. Note that eggs are not dairy, BUT if you want to take it a step farther, you can eliminate eggs too, as they are a common food allergen. Eliminating dairy means no milk, cream, cheese, yogurt, kefir, cream cheese, cottage cheese, and all goat & sheep dairy. Step two: make your diet plant-based (meaning 1/2 your plate at least should be veggies); focus on organic poultry, wild fish, beef/bison, lamb, pork; seasonal fruits; good fats such as coconut oil, olive oil, ghee (NO BUTTER during the elimination diet), avocado. Gluten free grains such as rice and legumes such as beans and lentils are OK if you tolerate them. Step three: at the end of your 30 days, it’s time to reintroduce the eliminated foods. Pick one food at a time. You’ll need 72 hours between each food so you don’t get mixed results. It sometimes takes food sensitivities a day or two to manifest. Let’s take gluten first, for example. Eat gluten in the purest form possible first thing in the morning on an empty stomach. Something like a bowl of plain wheat berries (no butter or anything else!) or a piece of 100 percent wheat toast with no other grains. Read labels carefully, as you do not want any cross-contamination with other grains, dairy foods or soy. Eat the appointed food and wait 30 minutes to check for immediate symptoms. You may feel tired, bloated, lethargic. Then have more gluten for breakfast. Something you’ve been missing, perhaps. Maybe pancakes. Then have some gluten for lunch. A sandwich. Then for dinner. Pasta! You’ll want to consume gluten at all 3 meals on this day, but not dairy. Have a gluten party! How do you feel at the end of this day? You may feel fatigue, brain fog, constipation, bloating, or any digestive symptoms if you have a gluten sensitivity. Maybe you think you’re in the clear, but you wake up and something’s different the next day—you feel stuffy or you’re constipated. Or you have a headache. All signs you need to say bye-bye to gluten for good. You may feel ok or even just slightly fatigued, meaning you’re not super gluten sensitive. That means it may not be causing the same problems in someone who does have a gluten sensitivity, but I still recommend avoiding it largely due to the difficulties people have digesting it and the potential it has to cause inflammation. If you’re on a weight loss plan, continue to avoid gluten—it can be a trigger food that increases appetite. Then try dairy, three days after gluten. The reason you must wait is because gluten may rear its ugly head a couple days after you’ve eaten it. It may take food sensitivities 48-72 hours to manifest, so if you feel crappy at any point after introducing gluten, you need to cut it out of your diet. Dairy party now! Same song, different verse. With dairy, if you have access to raw milk, drink a glass first thing in the AM on an empty stomach. If not, regular whole milk works. You’ll get the best results with the test by using a glass of milk and not yogurt, which has been fermented and is therefore easier to digest. After the milk, wait 30 minutes. Your symptoms may be something as subtle as a runny nose. Dairy is very dampening and mucous-producing, so the intolerance may manifest slightly differently—hay fever symptoms, sneezing, stuffy or runny nose, bloating, diarrhea. Throughout the day, have more dairy. Have some cheese! (I know you’ll miss cheese). If you don’t feel anything right away, see how you feel when you wake up. Are you stuffed up? Any digestive issues? Often it’ll seems like you’re having an allergy attack, and, well, you are. Your body has a total load threshold, and when that threshold is exceeded and your immune system is triggered by seasonal irritants + eating foods you’re sensitive to, symptoms result. So, yes, removing foods you’re sensitive to will help clear up seasonal allergy symptoms. 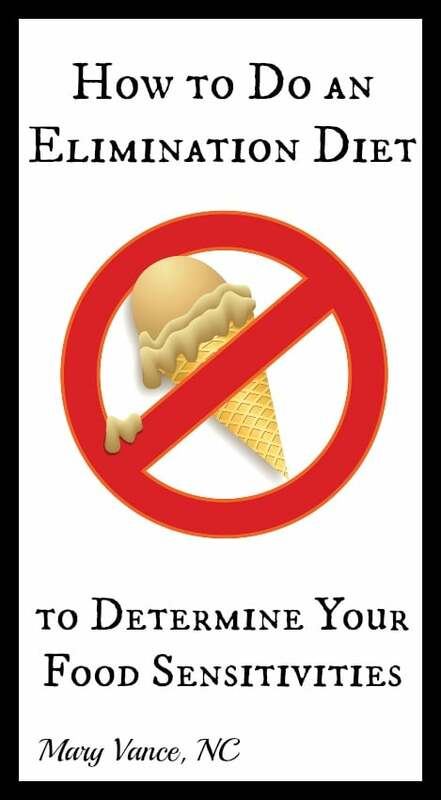 So on and so forth with other foods you chose to eliminate. Symptoms of food sensitivity may occur within a few minutes, a few hours, or the next day or two. To recap: you may experience bloating, fatigue, sinus issues, headache, foggy thinking, joint pain, insomnia, constipation or diarrhea (or anything else suboptimal). You can do this food allergy reintroduction with any food to which you suspect sensitivity: Eggs, corn, tree nuts, fish, citrus, beef and chocolate are the most common besides dairy, gluten or soy. NOTE: Once you reintroduce a food, eat it for the designated day, then stop eating it again while you wait for the full 72 hours. Then if you’re ok with the food, you can continue eating it. If not, avoid it while you add back in the rest of the foods so you don’t get mixed results. I have a 21 day (3 week) dairy, gluten, and egg free meal plan available for purchase here. I use it alongside my 3 Weeks to Vitality program, which is an elimination diet/liver cleanse. 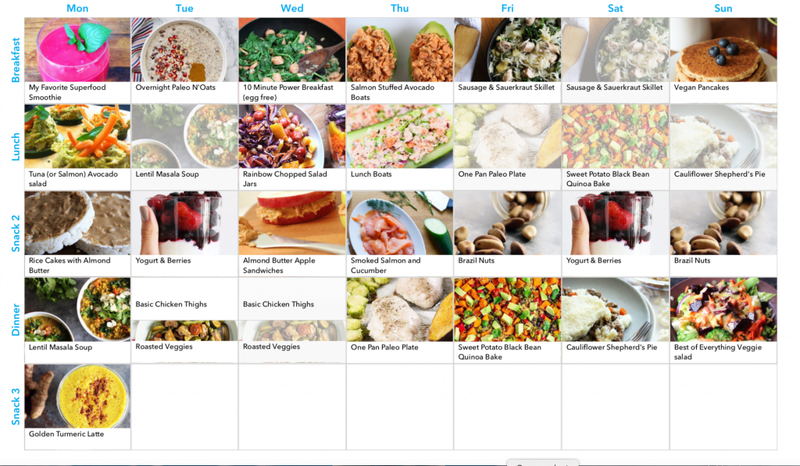 The meal plans include 3 weeks of planned out meals, recipes, and a shopping list. The meals include fish, chicken, and smoothie recipes but exclude red meat. There are limited grain and legume options also (vegan). You can purchase the 3 weeks of meals here. Example of a week’s meals laid out. Thanks for this great article! I was wondering – and this may seem obvious – is miso okay for an elimination diet? I’ve heard mixed answers to this, mainly citing that miso would be okay because it’s so heavily fermented that it hardly resembles soy. I don’t know how to proceed. Thanks! I recommend zero soy, not even miso, during elimination diet. Hello! Thanks for the article! I have been doing the elimination diet faithfully for two weeks now. I eliminated gluten at first and about a week and a half ago I eliminated all dairy. I recently have limited soy and corn but not faithfully. I decided to try the elimination diet because for the past three months I have been suffering with terrible brain fog (feels like I’m dreaming most of the day), daily headaches (I believe they’re tension headaches), muscle twitches (especially right eyelid), light sensitivity, weight loss and a variety of digestive symptoms. I have seen multiple specialties and have had several tests done, everything has come back normal. 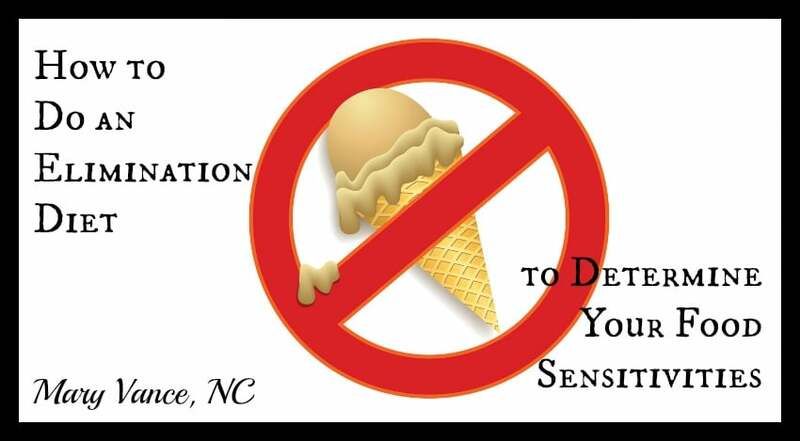 My question is, how quickly do you see an improvement with your patients that do the elimination diet if they have food sensitivities? My neurologist believes I have some digestive system damage from a possible stomach bug this winter and now my food sensitivities and malabsorbtion of fat and vitamins are wrecking havoc on my body. Do you know of any effective ways to heal the gut? I appreciate any response, thank you! Most people see improvement right away, or within 7 days. Healing the gut is more complicated than what I can answer here. It depends on gut flora, possible gut infections (parasites, SIBO, candida), leaky gut. You can search for leaky gut and posts tagged digestion on my site to get many articles on the topic. I have a reaction to cucumber, zucchini, and squash. It took me a long time to figure it out as they are not part of regular elimination diets. Do you have any experience with this? Well, yes, I have a lot of experience in helping people navigate food allergies. You might try an at-home test kit like this one to determine food allergies other than the big 7 (gluten, dairy, soy, eggs, etc): http://bit.ly/2h2xD40 (this link gets you 10% off, go to the store and you’ll see the food allergy test kit option). I’m currently trying to root out the cause of my eczema. I’ve never had it before, and I’ve taken out possible topical irritants already. I’m considering the elimination diet after reading your article on eczema, but this elimination diet weeds out foods based on pretty acute symptoms. Does eczema appear within the 48-72 hour time span you mentioned? Or would it be a longer time period that you’d ingest the food and wait between foods? The kit tests for 96 foods. What about coffee with non dairy creamer and what sweetener? This is the main thing that I’m going to struggle giving up. How can i connect with you for treatment. Food from getting into my bloodstream from leaky gut from I won’t get immune responses while my gut is trying to heal ?